First off I need to start this review with saying it really isn't a review! 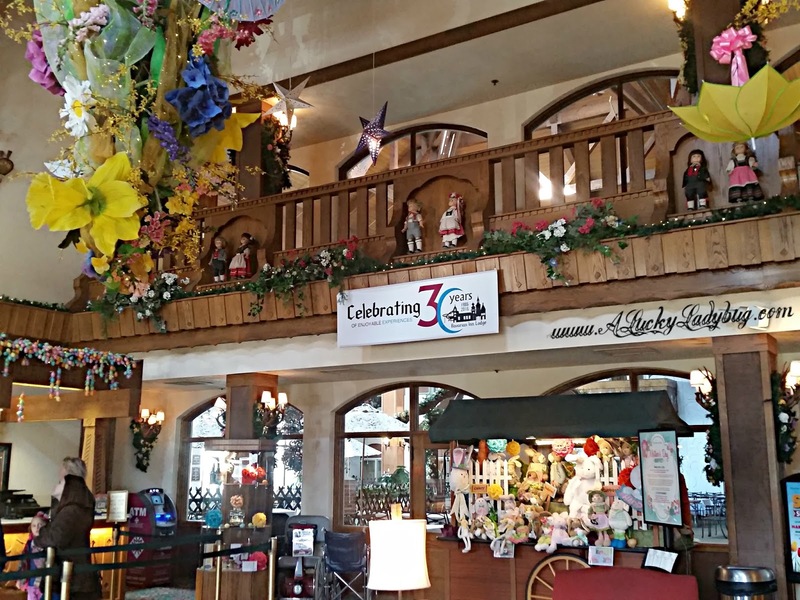 Born and raised a Michigander has certain perks and advantages such as living within driving distance to an amazing place like Frankenmuth. There are a few places which hold a special place in my heart. 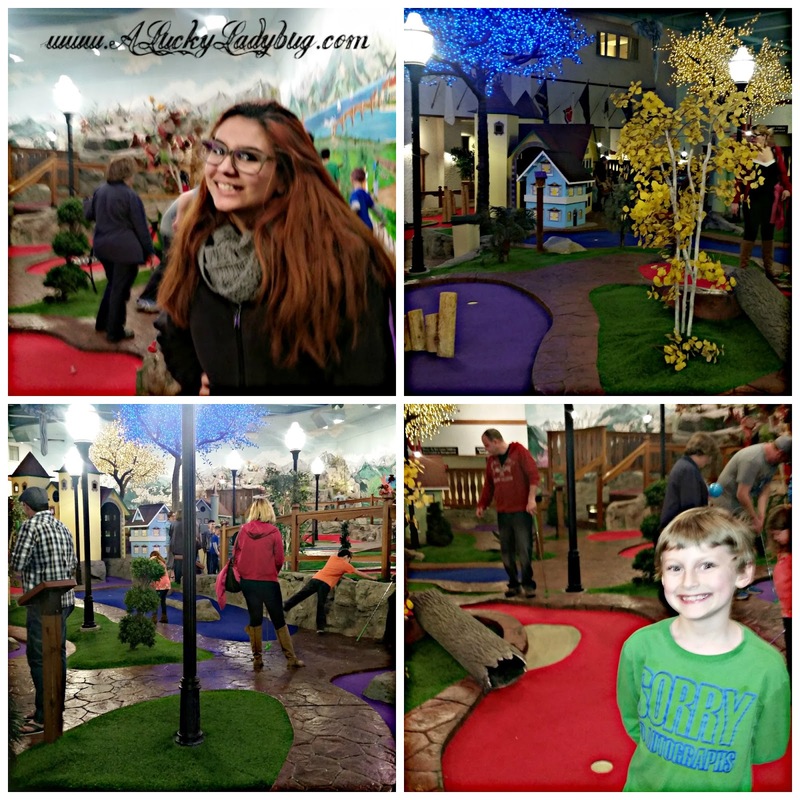 Because my family would frequently visit Frankenmuth 25 years ago when I was a child, every thought of the city has a special memory for me. Now with a family of my own, I want my children to enjoy the same great experiences I had as well as form great memories and traditions for our own family. Because my husband is from the South, he's never heard of the town and all the exciting sights and activities they have. That being said, I've discussed visiting Frankenmuth again with him in hopes of sharing the experience together. I couldn't have been happier than to have the opportunity to do so with my family this past Spring Break. I truly feel as though the purpose of telling you about our recent visit is more to educate those not from the area and to make others just plain jealous of the adventure we were able to take over Spring Break week! This isn't a place you can read about online without experiencing it yourself and honestly, you'll need multiple trips to do it all with everything they have going on through the year. 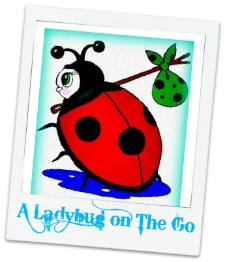 There is so much to talk about it's hard to fit this all into one post so here's to the first part. 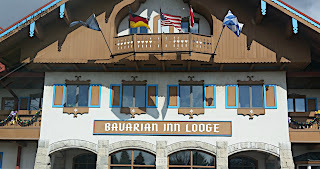 One of the places I most remember (and probably one you hear the best advertised about), is the Bavarian Inn. 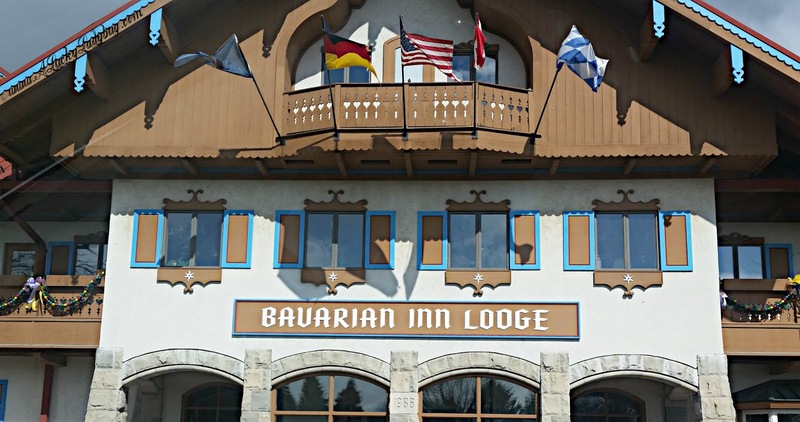 The Bavarian Inn is a German Resort Lodge and Restaurant known for it's "true Bavarian hospitality without crossing an ocean". Again something you won't truly understand without visiting, this is a place "one normally has to thumb through a book of fairy tales" to experience. Featuring world famous German meals and German beers, your taste buds are just the beginning of the sparks you'll feel. We tapped into our fun side racing down the two water slides and a competitive game of putt putt was unavoidable once we caught wind of the huge indoor 18-hole miniature golf course. 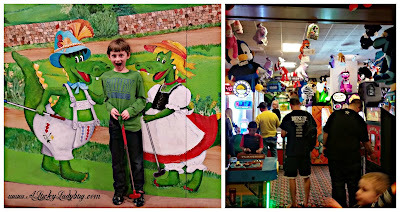 The Family Fun Center was FILLED with activities including an arcade which puts any other to shame. 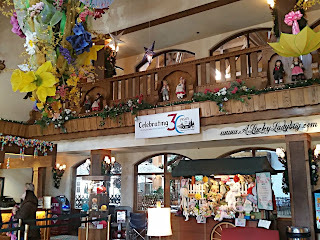 While staying at the Bavarian Inn Lodge, we were able to relax a bit in one of their four indoor pools or three whirlpools. I loved that the resort had an "adults only" pool and whirlpool. Not only does this allow for a romantic or adult themed trip to the same amazing place without the annoyances children can bring, but it keeps those individuals vacationing without children separate from my family also trying to enjoy a different type of fun. One of the biggest compliments I have to give to the Bavarian Inn Lodge is the selection of activities across the indoor seven acres. The resort was full to capacity due to the Spring break holiday and still we never felt it was too crowded to be worth the trip. The lines for the only two water slides was 10 minutes at most; the miniature golf course while full, was so large there was never a wait; if your pool of choice was a bit to full for comfort, the other 2-3 were a short (and warm) walk away; and even the arcade had such a variety, there was always a game to play.